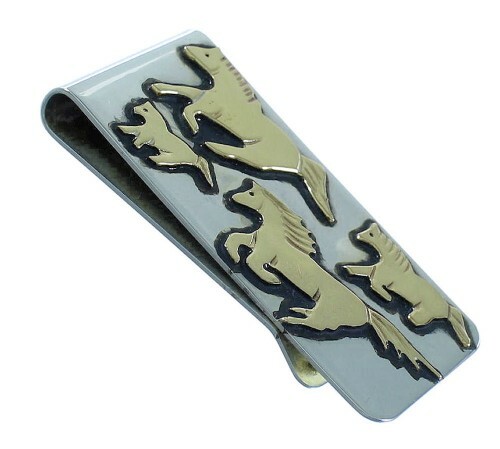 This money clip is a true treasure! This piece of Native American jewelry is Navajo overlay hand crafted by artist Tommy (Thomas) And Rose Singer out of genuine sterling silver and 12 Karat Gold Filled. 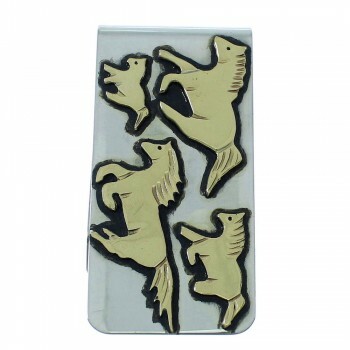 Overlay is a process that utilizes at least two layers of sterling silver or gold. One layer forms the foundation, while the second layer is used to design the individual detailed overlay. In this money clip, the second layer forms magnificent 12 KGF Horse designs for a marvelous finish. 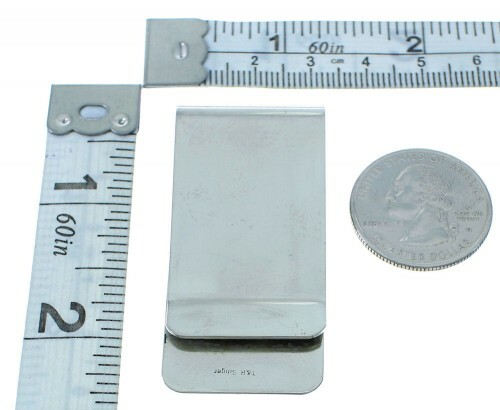 The lower portion of the money clip is made out of nickel for stronger grip and durability! The money clip is hallmarked by artist.